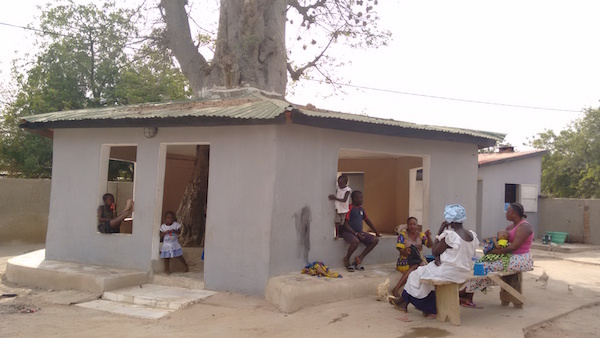 The last destination on my 4-country shoot in December was The Gambia. 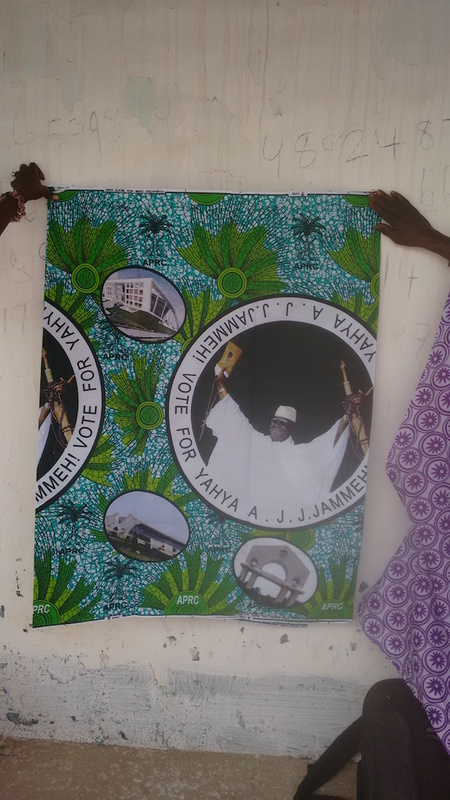 After some discussion about whether to postpone due to the political situation, we decided that it should be safe to go during the (albeit tense) lull between the time when outgoing President Jammeh reneged on his promise to accept the election results and the time when West African nations launched hard-core diplomatic efforts to resolve the crisis. My hotel was a beachside resort, and the guests didn’t seem to have gotten the memo about current events. 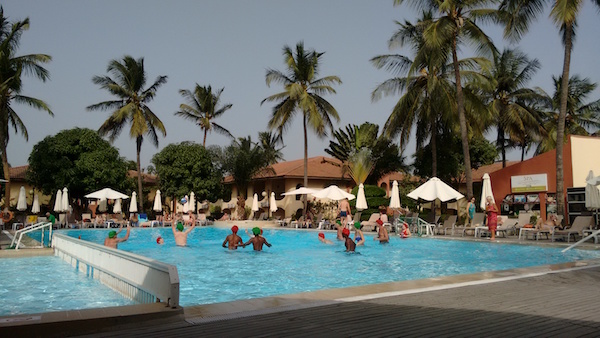 It was a bit surreal to see tourists, mostly from England and Holland, frolicking in the pool wearing Santa hats and listening to Christmas music. 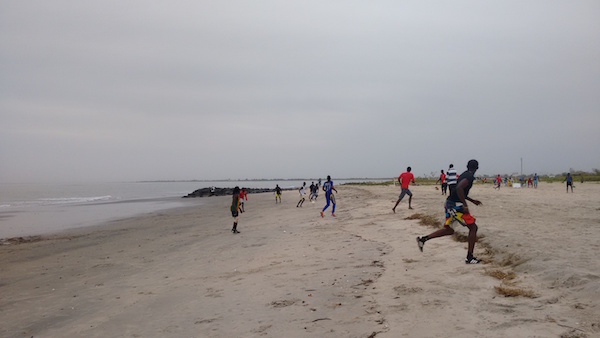 To be fair, Gambians were playing soccer on the beach every evening (see first photo); it’s not like the country was in lockdown mode. In fact, aside from the heightened military presence it felt pretty much like business as usual. 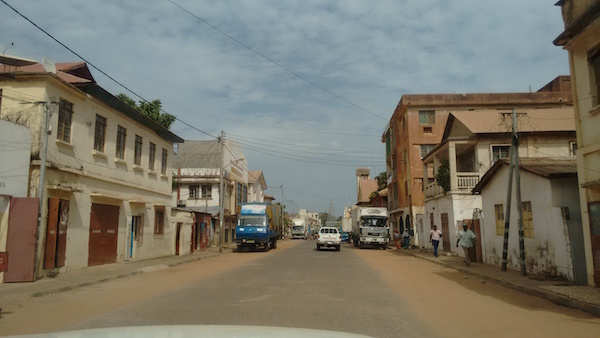 Since I had crossed overland into the country, I had to go into Banjul proper to get my passport officially stamped. This is downtown. 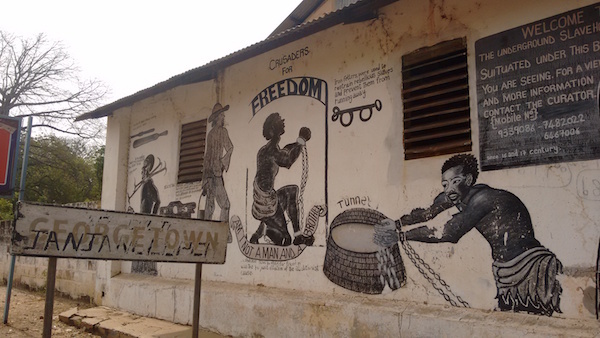 The town where I filmed, Janjanbureh, was a place where slaves used to be held while in transit between West Africa and the Americas. I realized this only when I pointed out the ruins of a really old-looking building and the driver told me that it was a former slave house. It was chilling to think that I had been running around town filming present-day stories, without a clue that horrible things had transpired on the same ground hundreds of years ago. 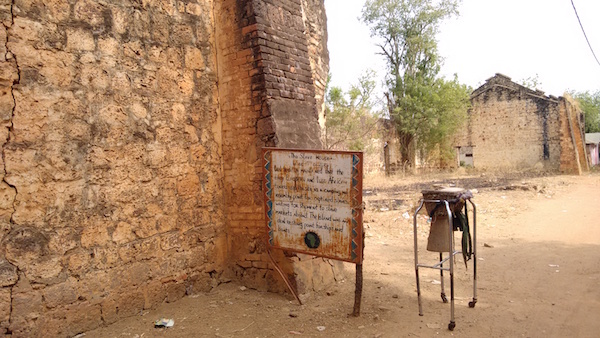 I am sorry to say that I didn’t have enough time to find out more about the town’s history while I was there. 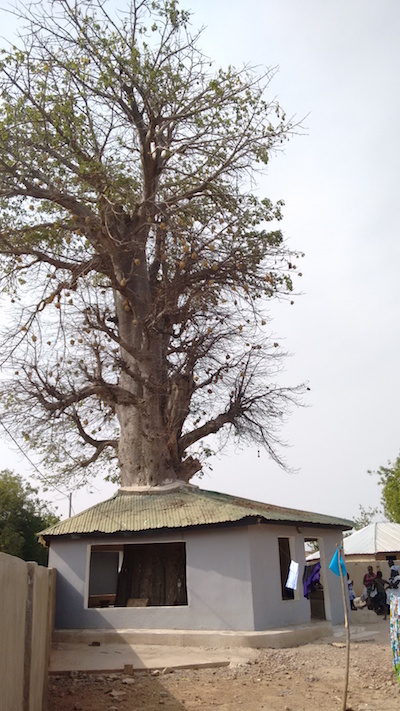 While wandering through the town to film general scenery, we happened across this amazing treehouse built around a huge baobab. Baobabs have spiritual significance in Africa and I now know why. I stepped in to the structure and in addition to it being about thirty degrees cooler inside than outside, it just felt overwhelmingly peaceful. I wanted to sit down at the base of the tree and never leave. But I did. And now I’m back in Dakar. Will share Cape Verde pix soon!